Enjoy music during your swim with the best swimming headphones available right now. Why Avoid Bluetooth Headphones for Swimming? What Type of Headphones is the Best for Swimming? 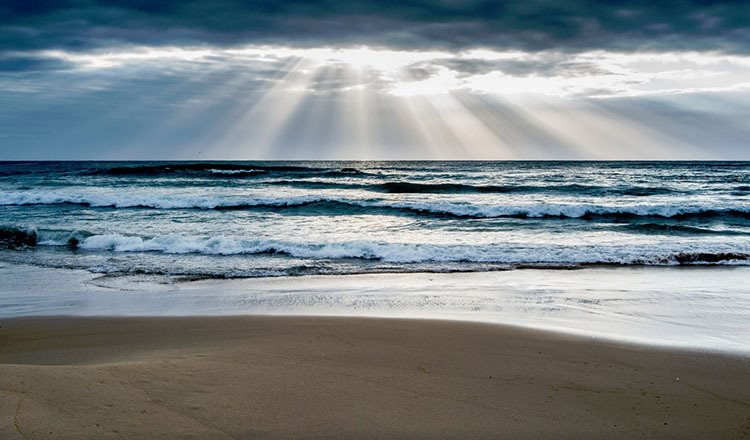 How does Water Protection Work? Are Waterproof Headphones Good for Swimming in the Sea (Salt Water)? Jump to The Best Headphones for Swimming Reviews | Avoid Bluetooth Headphones for Swimming | How to Get the Best Fit Underwater | How Water Protection Works | Can I Swim in the Sea? Sometimes swimming for hours can be a drag without some additional entertainment. Introduce music and audiobooks to your regular swimming routine with the top headphones for swimming. All the earbuds recommended here are waterproof and suitable for swimming above and under water. Swimbuds Sport waterproof headphones are the best you can get right now. Made by Underwater Audio. Designed specifically for swimming, the fully waterproofed casing with 1.3ft (40cm), short cord, 3.3ft (1m) extension cable and a full selection of accessories is everything swimming headphones can offer. Watertight seal and stability are achieved with the help of 4 different eartips each with multiple size options. Some even work like earplugs, keeping all the water out. Altogether you get 11 pairs of eartips. 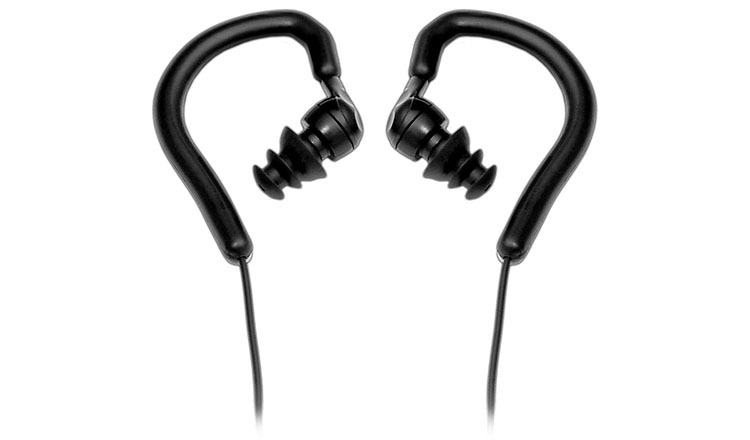 The in-ear headphones have an IPX8 rating which makes them fully submersible for long periods of time. The materials are high quality and an improvement from the older version. Keep note that the manufacturer advises not to submerge them deeper than 10ft (3m). The sound quality is good too. While you can’t compare waterproof headphones to regular ones, getting high enough volume is important. In the water, you’ll hear a lot of water noises like bubbles and splashes, so you need your headphones loud enough. Thankfully, the Swimbuds Sport have no problem with low volume or lack of clarity. You can easily enjoy them for all types of music. They connect with gold-plated 3.5mm AUX plug-in. It means you can attach them to waterproof iPod Shuffles and most MP3 players. The price might be a bit higher than most swimming earbuds but you get what you pay for. Plus, they consistently offer a discount if you buy them together with a waterproof iPod. 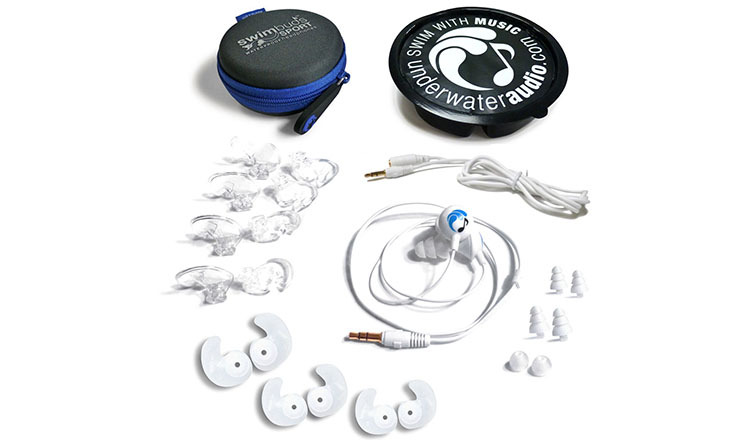 Underwater Audio is known for Swimbuds and waterproofing iPod Shuffle with great success. Now they’ve made neckband headphones for swimming as well. Called HydroActive, these waterproof earbuds are perfect for swimming, even underwater, kayaking, paddle boarding and any other sport that includes water. Their behind the neck design might not seem like the best idea, but it actually works. As is typical for premium underwater headphones, they come with a lot of accessories. There are 11 pairs of different eartips in the package. They come in 4 different types each with multiple sizes. To help you carry everything, you also get a nice hard carrying case. Since the earbuds come with a short cord you also get an extension cable, it’s also fully waterproof. The short cable is great to use with a goggle strap while the longer cable is used with an armband. You can connect them to any waterproof MP3 player with a 3.5mm gold-plated plug. The audio quality is good for waterproof headphones. You can make them loud enough, and clarity is usually not a problem. Just keep in mind you’re using special waterproof headphones and not regular earbuds. If you are having problems with Swimbuds staying in the ears then you might want to try HydroActive headphones by Underwater Audio. The unique design seems to work well at staying put even during intense lap swimming. Right now the best-value-for-money swimming headphones are H20 Audio Surge S+. Made by a reputable company called H20 Audio. These in-ear headphones are perfect for any serious or casual swimmer. For the price that you pay you won’t get more value. The short-cord swimming earbuds are made from quality materials and end in a regular 3.5mm AUX plug. They also come with 8 pairs of ear tips. Unfortunately, there’re only 2 types, the triple-flanged and regular ones. The good thing is this doesn’t seem to be a big handicap for the tightness of the fit. The design is made for underwater use and stays in ears very well. You can swim laps and do underwater turns without losing music. Finding the right eartips and combining it with a good swim cap is necessary of course. Having IPX8 rating, these are made for underwater use. This is deeper than most pools so you can be confident you won’t go too deep. 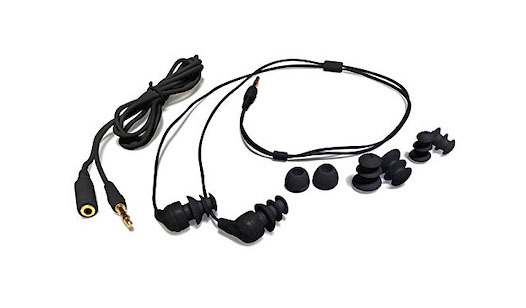 Add to this a fun and dynamic sound quality that doesn’t lack clarity compared to other swimming earphones, and you get an almost perfect piece of swimming gear. The only things lacking in this package, we think, are an extension cord and a better selection of eartips. Apart from that, H20 Audio Surge S+ are the best swimming earbuds for the price right now. Since these usually cost under $50 you won’t find a better deal in the “best headphones for swimming” category. The Sigomatech swimming headphones are the best choice for slightly above $20. If you don’t want to spend too much but also don’t want to get the cheapest these are a good option. They come with 4 pairs of ear tips. A pair of regular ones and 3 pairs of triple-flange silicone ear tips (S, M, L). The cord is short so that you can use them with head-worn audio players, and there’s also an option to extend it. The extension cable is also waterproof. Additionally, you get a nice, hard carrying case to put in everything. The fit seems to be stable for most people, and you can easily use them for water and even some underwater activity. 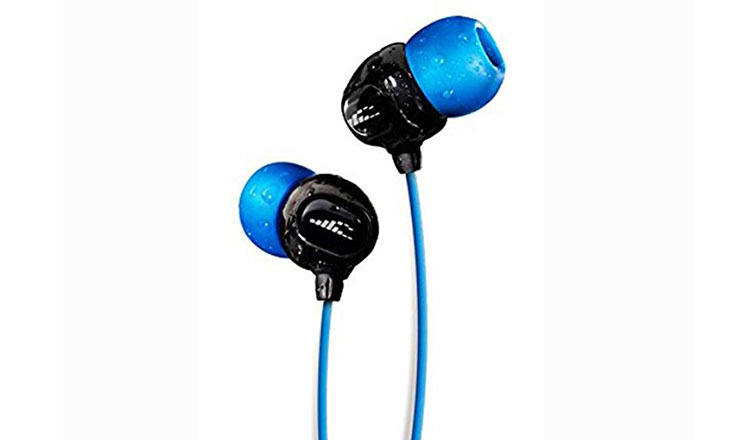 We wouldn’t recommend any fast and aggressive action underwater even though the earphones can take it. The stability of the fit might be less secure without extra help from a swimming cap. Rated as IPX8, they can survive long dips in the water even under harsh conditions. Now IPX8 doesn’t mean you can dive deep with them. You can only dive for around 10ft (3m) before you can expect water damage. The build quality is good but not premium. These are quite cheap, so that’s to be expected. How well do they sound? Just like other waterproof headphones these aren’t anything special but sound well enough. The sound is about average which means some bass with good clarity. With all the water sounds you’re going to hear you won’t be able to focus on sonic-fidelity anyways. For slightly above $20 you’re getting great swimming earphones that will make your lap swimming a lot more fun. The best cheap swimming headphones are the Pyle PWPE10. If you’re not too serious about swimming but still want to listen to music on the cheap, these are for you. Pyle makes a lot of different waterproof products, and these are one of their better products. The waterproof earphones come in a very simple package. There aren’t many accessories, but that’s to be expected. You get 4 different eartips, 1 pair of regular ones and 3 sizes of triple-flanged ones that keep the water out better. The cable is long, 4ft (120cm) and there’s no way to shorten it. This takes out the option of having your waterproof MP3 player on your head. The earphones connect with the standard 3.5mm plug which is also gold-plated to prolong life. Overall the build quality isn’t bad but isn’t great either. With the help of the flexible ear hooks, you can keep them fixed on your ears relatively well. Combine that with a swim cap, and you can easily use them for swimming. Just don’t expect the fit to survive aggressive turns under water. These are more suitable for casual swimmers. According to feedback from a lot of people, they tend to last at least a couple of months of vigorous use after which they tend to die out. These swimming earbuds are really cheap so this is to be expected. But if you’re a swimmer who gets great exercise, you might want to look at the premium alternatives with a better lifetime. Furthermore, the audio quality doesn’t disappoint either. You can expect high quality, but you’re still getting the clear and fun sound that will more than satisfy most people. Overall, for the price that you’re paying you won’t get better waterproof earbuds for swimming. Pyle PWPE10 are the best answer for a swimmer on a budget. The best way to listen to music while swimming is with quality wired swimming headphones. Most are in-ear headphones and create an airtight fit in the ear canal. Combine that with a waterproof MP3 player, and you get an excellent combination for music in the pool. Underwater music can sound great, but you need unique instruments to play it. The reason wired headphones are better for swimming is that wireless Bluetooth technology doesn’t work underwater. Water is too dense so the wireless headphones can’t work correctly. This means Bluetooth headphones aren’t good for swimming. You get too many signal interruptions. You should avoid Bluetooth headphones if you intend to swim with them. The only way you can use them if you only swim above water and are never more than 30ft (10m) away from your music device. It’s too bothersome if you ask me. On the other hand, you can use these for any activity near water, like water sports. For the best waterproof Bluetooth headphones go here. To be wired. As we have previously explained. Bluetooth doesn’t work underwater. Wires are the only reliable option for swimming. To be waterproof. The headphones need to survive submersion under water for at least a few ft. Diving deeper underwater creates new problems for water protection. There are many levels of “waterproofness” (IPX levels) for various uses. Water headphones need to survive being submerged in the water for long periods of time. IPX7 or more is recommended. To have a stable fit. The water is quite an obstacle for headphones. The stability of the in-ear headphones is tested much more thoroughly and thus much more important. For music to sound good you need to keep your ear canal and the earbuds dry and keep the moisture out. The moment you lose the fit and water fills the ears you won’t hear the music anymore. To be reliable. You probably don’t like replacing your broken headphones with new ones all the time. This is why getting reliable headphones is important. Often, spending more money on a quality product is more reasonable and provides more value in the long term. This is why only earbuds for swimming with a proven track record from many people can be recommended as the best. To have good sound quality. While swimming headphones won’t win any audio awards, you still want your headphones to sound good. You want to enjoy your music in relative quality even during a swim. As long as you get a good fit, all the waterproof headphones recommended here have among the best sound qualities in the category. The hardest part of waterproofing headphones is protecting small holes from water intrusion. There are 2 ways this is usually achieved. Swimming headphones have a design that minimizes such weak points. Usually, they are made from 1 piece of plastic. This way it’s hard for water to get in. The second way is by protecting it with an invisible layer that blocks water. An example is Liquipel protection. This super-hydrophobic protection layer is used for many different waterproofed products, including headphones. Because water is denser than air, it gives more resistance. Because of this, maintaining a tight fit with headphones is more difficult. The way to avoid this problem is to help keep the swimming earbuds in place with a swimming cap. Swimming caps are cheap and common, plus they give extra stability to your headphones. This is the first thing you should try if you have a problem keeping your headphones on. Another thing worth mentioning is the eartips. 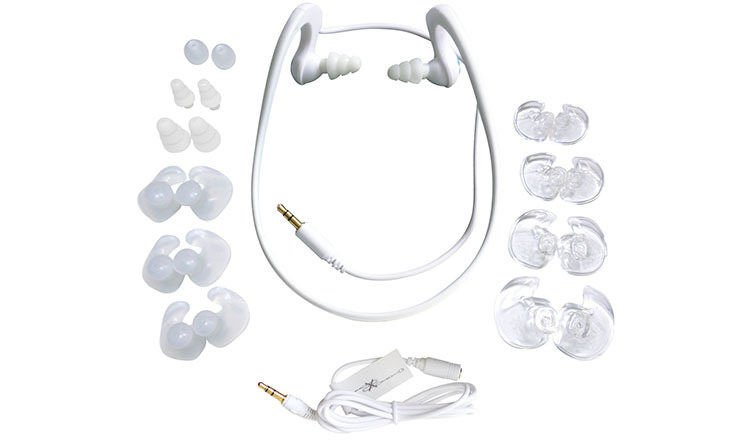 Most swimming in-ear earphones come with a wide variety of them. Trying them all and picking the right ones for you can take some time but it’s worth it. Don’t despair if the first eartips don’t fit your ear canals. Just try another pair. Salt water can be a problem for a lot of different gear, including headphones. The salt makes it more aggressive and makes material deteriorate faster. Any waterproof headphones that are suitable for freshwater swimming should also be suitable for sea and ocean swimming. Just keep in mind to wash them off with fresh water after each use to prolong the lifetime of your headphones. The only thing that you really need to take better care of is their structural integrity. In other words, not physically damaging them is important. Because water protection is quite sensitive to physical damage, it might create new openings for the water to get in. We recommend keeping your pool headphones in a sturdy, carrying case. In case you drop them, they’ll most likely survive without damage. If you drop your pair of headphones too often it’s possible they’ll lose their water resistance and thus start to leak in water. Additionally, you should wash them with fresh, clean water regularly. If you swim in a public pool with lots of chloride there’s probably a lot of other “stuff” in there as well. It’s preferable to keep them clean after use. This holds true for swimming in salty water as well.